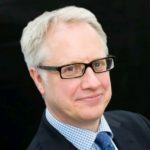 Ellis Fox > Blog > Executive Services > Is this the end of Boom & Bust in the rail sector? Since the privatization of the railways, the main contractors involved in constructing rail infrastructure have been consistently plagued by boom and bust cycles due to funding inconsistencies. Projects typically start out with great momentum but as funding dries up contractors find themselves looking at smaller margins to get the project completed, on top of often having to let workers go. It’s a far from ideal situation, driving up the costs of railways, resulting in job losses and putting a great deal of pressure on contractors and their supply chain. Up until now the only solution has been to try secure additional funding in advance so that projects don’t grind to a halt. While this may be a quick fix solution, it doesn’t address the underlying issues that are creating the boom and bust cycle in the first place. The Railway Industry Association has been working towards unlocking government funds in a timely manner for projects, but it appears to be a constant uphill battle that takes up a great deal of time and resources. What is really needed is for the industry role players to develop a more collaborative approach and change their working strategy. The objective should be to find strategies to target and break the boom and bust cycle so that rail infrastructure development and maintenance can proceed at a more efficient pace. If this can be achieved it will ease cash flow burdens and create a more sustainable business environment for all infrastructure contractors, no matter their size. 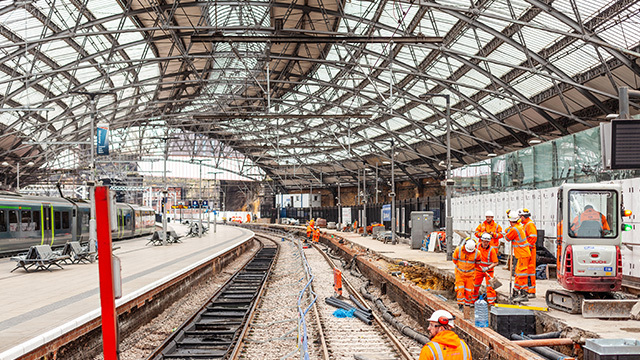 Recently a report published by the Government’s Transport Select Committee made a number of recommendations for improving, in particular, the development and maintenance of railways. It specifically highlighted the issue of boom and bust cycles and the very negative effect it is having on the infrastructure sector. In many cases SME contractors have been squeezed to the degree that they have had to close their doors. Given the important role that SME’s play in the economy, this is something that should not be allowed to continue. The Transport Select Committee’s recommendation may just be the catalyst needed to get all the concerned parties to sit down around a table and start to work towards finding a solution to support a more sustainable future for the industry. Previous post: What will it take to make the Heathrow expansion a success? Next post: Where are the work opportunities?